The Biodiversity and Environmental Resource Data System of Belize (BERDS) is on hiatus. The more than 120,000 spatially enabled flora and fauna specimen records, still exist but now only as a private database which is still being maintained. Please contact us for details. Based on popular demand, the Spatial Data Warehouse component has now been resurrected, in the interim. This data warehouse contains a number of baseline ArcGIS shapefiles that are of value to a wide variety of societal, planning, conservation and education initiatives. 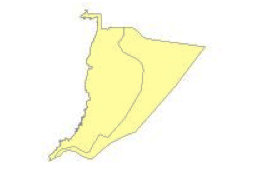 These shapefiles are presented here as is. BERDS and its creators do not accept any responsibility for any shortcomings and/or errors in the data. Users need to decide for themselves whether the data is suitable for their purposes. Users are required to reference BERDS in any publications that they may produce. 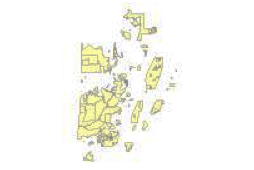 All shapefiles are zipped and presented in UTM NAD 1927 Z16N format and come with full ArcGIS v.10 metadata. These metadata are to remain attached to these datasets at all times. J.C. Meerman + unknown sources, 2013. [Download] The base for this product is an old (1992?) 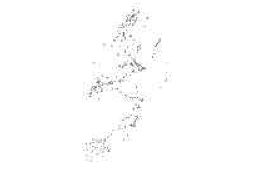 ArcInfo file called "districts" (no metadata), which was produced by (the University of Edinburgh?). This map was updated using geo-referenced Landsat tm images (15 m resolution). This was particularly required in the Marine sector. The correct positioning of the Turneffe Atoll, was facilitated by a large number of ground control points collected by Jan Meerman. 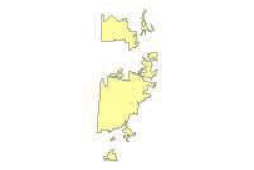 District boundaries were corrected/fine-tuned as well. [Download] Terrestrial data derived from aerial photography and digital elevation models which can be off up to 30 m depending on tree cover. 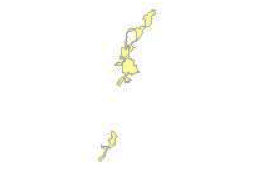 2011 rendering of Principal Biological Corridors connecting Belize's protected areas. 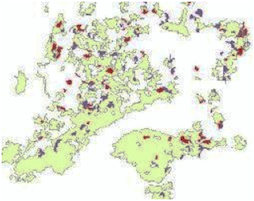 [Download] 2011 rendering of Principal Biological Corridors connecting Belize's protected areas based on a study in 2000 (Meerman et al) into the feasibility of Northern Biological Corridor and a consolidation study in 2002. 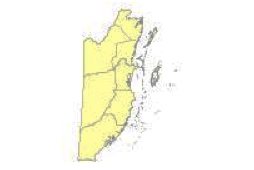 In 2011 a study was conducted to determine a Central Belize Biological Corridor. These three studies are integrated here and corrected with regards to the actual status of land development in the area. [Download] Original Belize Ecosystems Map (Meerman & Sabido, 2001) follows the UNESCO system developed for the Central American Ecosystems Map. [Download] Map of the Ecosystems of Belize version 2004 is an update from the 2001 Belize Ecosystems Map (Meerman & Sabido, 2001) The data quality of the 2004 version has greatly improved over the 2001 version. The classification still follows the UNESCO system developed for the Central American Ecosystems Map and is thus completely consistent with that product. [Download] Map of the Ecosystems of Belize version 2011 is an update from the 2001 Belize Ecosystems Map (Meerman & Sabido, 2001) and the subsequent 2004 version of the same. has been enhanced using a substantial set of new data. The data quality of the 2011 version has greatly improved over the 2001 and 2004 versions. The classification still follows the UNESCO system developed for the Central American Ecosystems Map and is thus completely consistent with that product. [Download] Map of the Ecosystems of Belize version 2015 is an update from the 2001 Belize Ecosystems Map (Meerman & Sabido, 2001) and the subsequent 2004 and 2011 versions of the same. Has been enhanced using a substantial set of new data. The classification still follows the UNESCO system developed for the Central American Ecosystems Map and is thus completely consistent with that product. [Download] Map of the Ecosystems of Belize version 2017 is an update from the 2001 Belize Ecosystems Map (Meerman & Sabido, 2001) and the subsequent 2004, 2011 and 2015 versions of the same. This version is based on February 2017 Landsat 8 imagery augmented with numerous online high-resolution imageries. 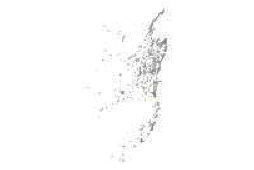 As in the previous iterations, this version continues the trend towards higher resolution and higher accuracy. The classification still follows the UNESCO system developed for the Central American Ecosystems Map and is thus completely consistent with that product. [Download] Basis for the map is the 2004 updated version of the Belize Ecosystems Map (Meerman, 2004). 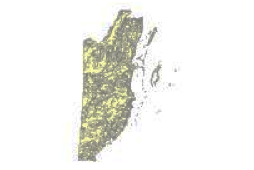 This in its turn was based on January and February 2004 Landsat TM satellite images. The process took 9 different variables into account. Social, Physical and Ecological. Each of these variables is represented in its own attribute Note that this layer does not incorporate damages caused during the 2010 and 2016 hurricanes. Belize Key Biodiversity Areas using IUCN categories. 2007. 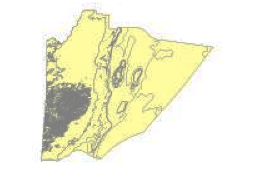 [Download] Dataset combines a total of 8 variables to assess the potential for land degradation in Belize. These variables include; Soil pH, Shallow depth, Soil Fertility, Fire Risk, Slope, Geology and Rainfall. Within these, the soil pH and slope weigh heaviest. In general, those areas with a high combined land degradation value should be considered unsuitable for development, particularly agricultural development. Protected Area of Belize inclusive of candidate Private Protected Areas. 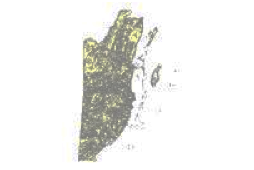 [Download] Digital protected area polygon data were created using the various issues of the Government Gazette Statutory Instruments with added information of private landholdings that opt to qualify as a Private Protected Areas. The latter are included for planning purposes, although as yet un-recognized, these candidate private PA's are typically being managed for biodiversity protection and thus form an extra tool in the management of national biodiversity resources. This is a work in progress with several inconsistencies (largely as a result of insufficient descriptions and generally lacking topology). Each stream segment has attributed indicating stream order, elevation, slope and where available names. Jan Meerman (stream orders, names, minor corrections) for the Climate Resilience Project under the Global Facility For Disaster Reduction and Recovery" (2015). Historical Map of Roads in Belize as per 1909. 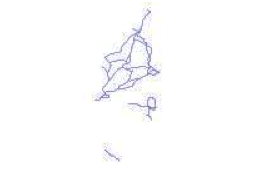 [Download] Roads digitized from map titled Colony of British Honduras, Waterlow & Sons Limited, London. Annotated Complied from records in the Survey Department 1909: Additions 1921. 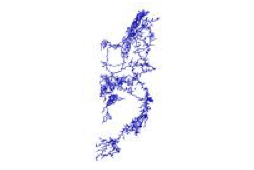 [Download] This dataset contains road feature as polyline for Belize. 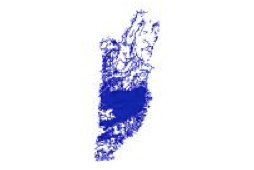 The RMSI project team received the input data files from the Ministry of Work and Transport in different formats like, the surveyed road data as AutoCAD drawing (.dwg) for different districts (except Toledo), ESRI Shape files (.shp) for the entire country, and excel file (.xls) containing different road attributes. Wherever the survey data from MoWT is not available, 5 m resolution RapidEye imagery has been used to fill the gaps. UK DEFRA Darwin-Initiative, a consortium of partners from the UK and Belize: The University of Edinburgh (UoE), The Royal Botanic Garden Edinburgh (RBGE), The University of Belize (UB), The Belizean Forestry Department (FD), The Belize Botanical Garden (BBG), Programme for Belize (PfB) and Belize Tropical Forest Studies (BTFS). [Download] The 2010 Savanna Ecosystem Map is designed to provide an assessment of the extent and composition of lowland savanna across Belize. A mosaic of remote sensing imagery acquired from a variety of sensors was used to deliver nationwide coverage. 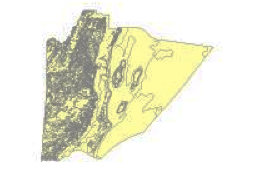 Point dataset of Belize Towns, Cities, villages and communities. 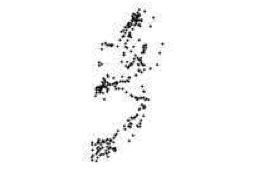 [Download] Point locations are approximate centers of densest infrastructure patterns and do not indicate any legal center of a community. 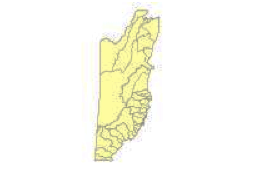 Principal Source of information is the National Association of Village Councils of Belize (NAVCO) and further strengthened with actual fieldwork recording settlements with the use of a GPS. Lentic ecosystems, lakes, wetlands, lagoons, water bodies of Belize.